Microsoft has placed more focus on accessibility as of late, an effort that has extended into gaming, particularly with last year's release of the Xbox Adaptive Controller for Xbox One and PC. Now, the controller is taking center stage in a Super Bowl ad that highlights some of the ways it helps gamers with mobility limitations. The controller has a number of ports that various input devices can hook into -- you'll even see youngsters using the Nintendo Wii Nunchuk in the ad. 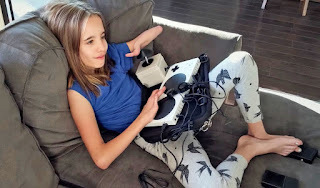 Microsoft's attention to detail even extended to making the Adaptive Controller's packaging easy to handle, a factor the ad showcases alongside a bunch of kids who just love playing games.